As an active member of the Greater Green Bay community, I believe it is important to promote and have "hands-on" involvement with our area groups, organizations, and events. I look forward to sharing some of my experiences and contributing to making a better Green Bay. If you are interested in volunteering, getting involved, or participating events in our neighborhoods, please contact me at brian@briandanzinger.com or visit the Brown County Volunteer Center. 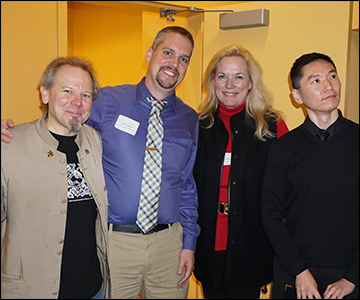 Brian Danzinger was a strong supporter of Green Bay S.O.U.P., designed to promote community-based development through crowdfunding, creativity, collaboration, democracy, trust and fun! The program will include five short local project presentations with time for questions, soup, networking and a chance for all attendees to vote on the project they think the evening’s proceeds should support. All of this year's proposals were inspiring initiatives that make a positive impact to our community. 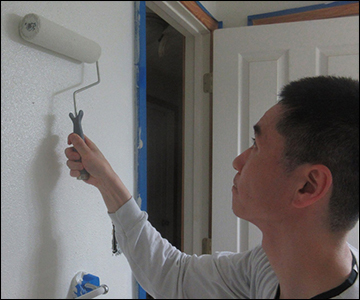 Brian Danzinger brings volunteers and communities together to improve the homes and lives of low-income single-family homeowners with an emphasis on military veterans, the elderly and disabled. Special thanks to all of the volunteers who helped with this year's project. 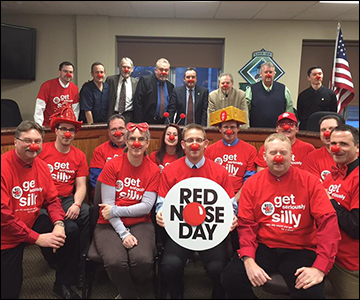 Brian Danzinger and the rest of the City Council showed their support for "National Red Nose Day", dedicated to charities working on the ground to deliver the basic needs of kids living in poverty. Red Nose Day has raised over $1 billion globally in the last 25 years. The Ladies of Lambeau dedicated their time and energy to help give Firemans Park brand new playground equipment. Special thanks to all of the volunteers, sponsors, and staff members who helped coordinate this great neighborhood effort. Nearly 50 volunteers came together to rebuild the playground in less than two days. 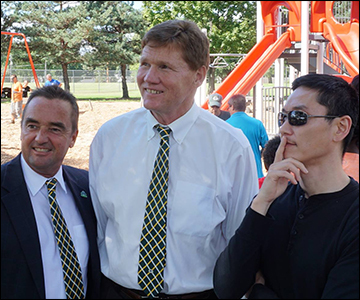 Supporters included Packer President Mark Murphy, Green Bay City Mayor Jim Schmitt, and Green Bay Alderman Brian Danzinger. Area students participated in the 3rd annual "Ethics in Government Day" at Green Bay City Hall, where they met local public officials and discussed key issues surrounding ethics. Students and mentors exploreda number of ethical scenarios and shared their findings with the forum. This was an excellent opportunity to meet individuals who deall with ethical decision making on a daily basis and the importance of fairness, conduct, and compliance. Special thanks to Alderman Randy Scannell, Alderman Brian Danzinger, and County Supervisor Thomas Sieber for their participation. Setting up the day's volunteer orientation before volunteering as an Interview Judge. Best of luck to all of the area high school teams competing this year! 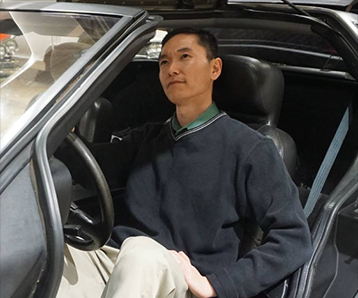 Brian Danzinger has been an event volunteer for over 15 years and a former board member. Special thanks to the Alderman Warner, Alderman Brian Danzinger, The Wounded Warrior Project, and St. Norbert College for hosting our Wounded Warrior Flag Football game, supporting a team of Vets and their athletic endeavors. Special thanks to the volunteers who joined us for our annual Military Ave cleanup and walked the length of the corridor to help with neighborhood beautification. Please support our local Military Ave Businesses. Participating in the "Running of the Bols", which is a type of kite/parachute. Great event (and a great workout by the way) to benefit the Family and Childcare Resources of N.E.W.. Special thanks to Mayor Jim Schmidt, Jody Weyers, Adam Hardy, Alderman Brian Danzinger, Director Dawne Cramer, and the other voluteers who support this amazing festival. The annual "Red Zone Challenge" was a huge hit at Winterfest as area personalities and athletes took the field to help fight hunger. Our efforts raised over 3,000 pounds of food for West Side pantries and will continue on in 2016 as part of Green bay Fit Fest and Aurora/Baycare Open Streets. Special thanks to Ahman Green and Harry Syndey for serving as our honorary "Captains". Brian Danzinger was the guest speaker for the monthly "Lunch and Learn" to discuss the benefits and reasons why we should volunteer in our communities with members of "Current - The Young Professionals Network". We are glad to see people intereste in serving and finding ways to share their time and talents with others. Special thanks to Rock & Roll Land on Military Ave for hosting our Rock Hunger Concert which helped raise food donations for St. Patrick's Pantry. We have been proud to introduce the SEED (Student Economic Educational Development) Program at Southwest, which has developed student leadership, business, and project planning skills. The Green Bay City Council and area volunteers "stepped up" to help end domestic violence in our communities. A number of City Council, Brown County Supervisors, and community officials take part in this annual awareness event.